I can’t find out anything about this winery which probably means this wine is bulk juice that someone with a distribution contract slapped a label on. Generic berry aromas, a little dust and dry herbs on the nose. The palate is thin and watery but the acidity is soft and the tannins fine grained, so it’s drinkable but forgettable. And at $14 dollars its not really a bargain; there are better Cabs out there for less. But when you have a generic wine there is something you can do to make it more exciting. Serve it with a compatible dish (a burger would do fine) and play music that matches the mood of the wine. This wine gained some body when accompanied by simple, up-tempo rock like Queens of the Stone Age No One Knows. 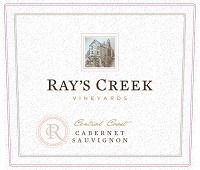 With his production facility located just north of Boise, Idaho, winemaker Earl Sullivan is committed to using Idaho grapes when possible, but the growing season is too short to consistently get the ripeness he wants from Cabernet Sauvignon so he sources from Washington State’s acclaimed Red Mountain AVA with it’s unique loess soils. Blended with 7% Petite Verdot, this Cabernet sees 20 months on new and used French oak. The result is a polished wine that packs a surprise. Aromas of chocolate-covered, black cherry mingle with cinnamon-inflected vanilla, a real charmer during introductions. In the mouth the wine is rich, silky, and polished bursting with juicy, fresh-tasting fruit. But, as the midpalate shades into flavors of hi-toast oak, the intensity ratchets up building energy and density, filling the mouth with darkness. Sabotage, a reckless moment of rebellion, disrupts the good cheer. Alas the polished fruit returns, leisurely lingering on the medium length finish although it is transformed, toughened by hi-toned acidity, char, and firm but fine-grained tannins. The wine plays with you, a hint of malevolence beneath the polished veneer as if rebelling against its own nature. With time in the bottle it may return to the family. It needs time. Aromas of ripe blackberry join the melding of raw wood and dusty earth. On the palate, oak inflected fruit sits on a medium plus frame, developing dried sour cherry midpalate with firm, grippy tannins supporting the somewhat bitter finish. Very dry from front to back with an unyielding texture, it’s over-oaked for my taste but has plenty of big flavors and good acidity. The overall impression is of no nonsense fortitude and urgency. It will benefit from a hghly marbled steak. Brought to you by Bronco Wine Company. Another iteration in Trader Joe’s Grand Reserve line up of upper tier budget wines. This one is fine but it’s mood is downbeat. Ripe dark fruit, dried fig, hints of warm spices and dusty earth aromas provide complexity, but there isn’t much intensity or life. Vanilla emerges with more air. It’s very laid back. At least there are no green, vegetal notes. 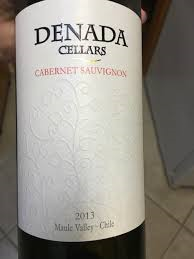 On the palate it’s not broad and dimensional enough to be lush but it is smooth with a layer of velvet fruit over supportive, unobtrusive tannins and a short finish exposing oak flavors. Very low acidity contributes to the impression of lethargy. This is an easy drinker with plenty of flavor but a bit sullen and morose. Highly recommended for those suicidal moments. Bat For Lashes’ The Big Sleep has a similar mood. Michael and David Phillips, 5th generation grape-growers from Lodi who started the winery in 1984, are known for their wild labels and memorable brand names like their 7 Deadly Zins. 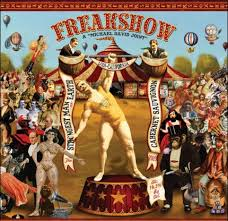 Freakshow is no exception; label shoppers will find it irresistible. But the juice is pretty good as well if you like big upfront fruit. Smoke melding into a chocolate background envelop very ripe black cherry aromas and hints of damp forest floor. The foundation of ripe almost prune-like aromas establish the wines dominant character giving it a dark almost brooding aspect on the nose. The palate flavors initially reinforce the nose with fig and heavy dark chocolate with a slight woodiness appearing midpalate as the wine gathers momentum. The finish is a bit short, losing fruit quickly leaving soft, fine-grained, yet drying tannins in its wake. Round, full, and a bit heavy upfront, the midpalate refreshes with a nice caramel/cola seam providing some lift and lightening the mood before leaving a sandy impression in closing. This classifies as a fruit bomb but it’s well made and shows some textural evolution. It’s more of a sipper than a food wine. A big barbecue sauce or grilled steaks would be fine. 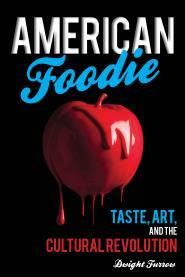 I served it with stuffed flank steak (Bavette de beouf farcie) but the rich, figgy, dried fruit seemed too imperious. 17 months in French oak. For a family winery this is a huge operation producing over 600,000 cases per year, and their children now run the operation so it seems likely to stay in the family for awhile. That’s nice to see in an age of rapid consolidation in the wine business. For all its brooding quality, this is not an angry Cab. It aims to be more easygoing. This piece by King Sunny Aide brings some sorely needed freshness and brightness to the experience. The elongated synth phrasing and repetitive percussion gives the wine length and evolution and brings out top notes. Columbia Crest is a Cab for Cab lovers. 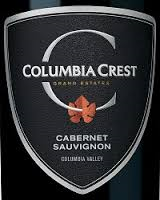 The others were bright and fruity; only the Columbia Crest approached the dark, almost angry aspect we expect from Cabernet. Fans of the “dark” and “black” wines now flooding the market will enjoy this Cabernet without all the cheesy marketing. Aromatic with ripe, dark and red fruit, chocolate and caramel hints that promise some intensity if not complexity. In the mouth it’s very juicy but dry with persistent creaminess that carries all the way through the modest finish. The dark toast notes were a bit over the top with some bitterness in the oak register, also apparent on the finish. 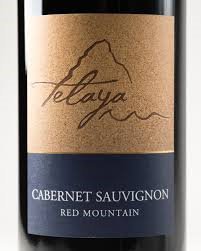 Medium weight with low acidity, it offers just enough tannic support to remind you this is Cabernet. There is quite a bit of the barrel showing which is what gives it the dark mood but it gets distracting. Some critics are scoring this in the low 90’s. It’s not that impressive but for the price this is a solid wine. 80% Cabernet Sauvignon, 18% Merlot, 2% Cabernet Franc. The wine spends 12 months in 65% older and 35% new oak barrels, both French and American. It should be noted that the top 2 scorers in this face off were the most expensive wines, double the cost of the Barefoot. In this case you get what you pay for. Historic Robert Mondavi Winery, long noted for its vision of premium Napa wines, also makes the cheap stuff. And its very good for the price. In our survey of four budget Cabs, it’s the runner up easily beating out Rex Goliath and Barefoot. Aromas of simple black cherry with hints of toast and vanilla against a vaguely earthy background are standard, but in the mouth crisp acidity is nicely balanced with chocolate infused fruit. Gently assertive, medium-grain tannins and a mineral seam give the wine a richness that is sometimes hard to find on the supermarket bottom shelf. This is easy drinking but finishes dry and vivacious; highly recommended in the $10 and under category. 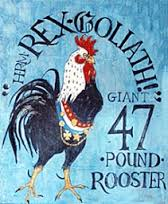 This week we have the third place finisher in the head-to-head assessment of supermarket Cabernet—the Rex Goliath from Constellation Brands. It finished just barely ahead of last week’s reviewed wine, Barefoot Cabernet, on the strength of the healthy shot of acidity that keeps some refreshment in the finish. A whiff of a plastic, chemical note mars the simple black cherry and earth aromas. The palate is fruity but flat and dull up front. Chocolate and cola at the back of the midpalate sitting on a ripple of acidity give the wine some life carrying through the short but pleasant finish. Tannins are very soft. A touch of sweetness but not too cloying, the balance assisted by that tart note that creeps in to remind you that this is wine, not grape juice. Another decent but unremarkable wine, it isn’t big and juicy but also avoids excessive sweetness. If you’re not allergic to a mildly tart finish you might find this refreshing. The last time I checked in with this wine they were sourcing grapes from Chile. These grapes are at least 75% American. It’s basically the same flavor profile but slightly less oaky than in the past. Since I don’t understand marketing, I can’t explain it either but I guess you can’t argue with success. 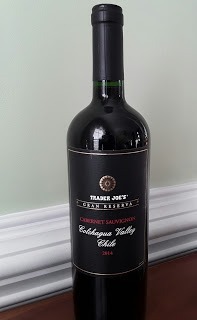 It’s time for a battle of the budget Cabs: a head to head assessment of Columbia Crest, Rex Goliath, Mondavi, and Barefoot. In a blind tasting it was clear which is the worst of this lot—the Barefoot from E. J. Gallo. It was also the cheapest although not by much. On the positive side, although I found it less enticing than the others, it is nevertheless not a bad wine. The nose has black and red fruit with earth, smoke, and coffee hints. In the mouth, the juicy fruit upfront shows some chocolaty depth but quickly fades by midpalate, leaving via a short finish with very little lingering fruit and a charred wood aftertaste. The overall impression is thin and watery despite the promising entrée. Very soft tannins almost indiscernible , and little acidity. There is nothing distracting or unpleasant about this wine. Its competent and easy to drink but unsatisfying. #3 will be up next week. I was underwhelmed when I tasted the 2012. I’m still underwhelmed. On the nose the green, vegetal notes are too prominent, a distraction from the dark fruit. After aeration, earth notes appear but in general this is a low intensity nose that gives little pleasure. In the mouth, it opens pleasantly with black cherry on a medium bodied frame, but as it finishes, tart and bitter impressions disappoint. The tannins are soft and furry, the texture overall too hard. As a value wine it suffices, but it is quite ordinary. 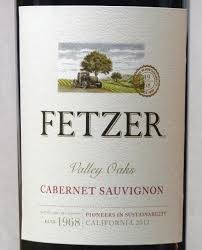 Fetzer, located in Mendocino County, is owned by Concho y Toro the largest wine producer in Latin America. I usually pair the wine with music that creates a metaphorical description of it. But here we need a song that will make the wine taste better. This Gin Blossoms tune brings out some mushroom on the nose and will smooth out the texture.